Rose Photo Frames HD have magical Rose flowers! Rose flowers in wonderful shades of red, white, pink, yellow etc to wrap your photos with. The Most Beautiful Rose Flowers!! With Rose Flower Photo Frames your photos would look stunning. You can add beautiful flower frames to your photographs and share those with your loved ones, family, & friends. Instantly decorate your photos with these enchanting rose flower frames on your mobile phone to make your memories unforgettable. Rose is the symbol of love!! You can make the loveliest photos on your phone with these adorable flower photo frames. Add magic to the photos of your loved ones by embellishing them with lively rose flower frames. Roses symbolize Romance!! Amaze your dear ones with their images in these aesthetic photo frames. Enjoy watching your photos in rose flower frames, you can choose the frame that best suits your photo from over 15 unique artistic frames. 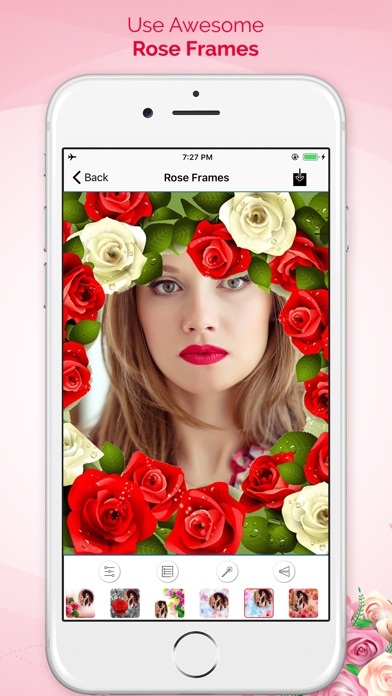 This wonderful rose flower frames app is totally free . Grab it now! 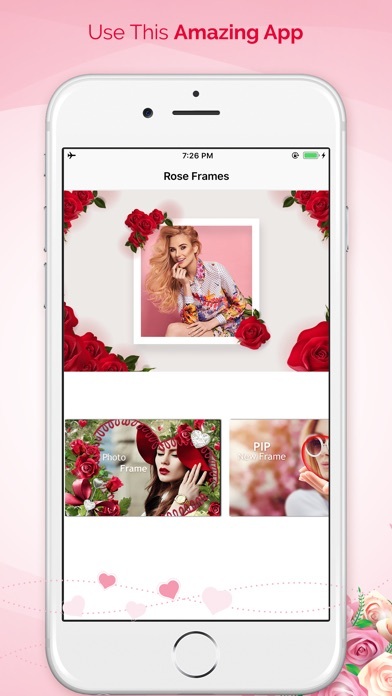 "Rose Flower Photo Frames" Highlights: Select a photo from gallery or take photo . Vibrant photo collection of rose flowers App Feature: - PIP Features. - Free Collage. - Grid Collage. - Awesome Photo Frames. - Easy save and share.